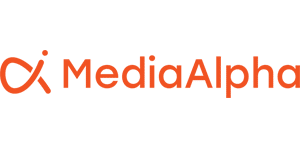 REDMOND, Wash. (Oct. 20, 2014) — MediaAlpha, the emerging technology leader in programmatic, performance-based advertising, today announced the appointment of Michael Foster to the role of Vice President, Demand Platform. Foster brings over 10 years of experience in the online advertising space to the role. He will be focused on strengthening and growing MediaAlpha’s demand side partnerships to drive greater transparency and efficiency for media buyers in the performance-based advertising space. The MediaAlpha Exchange is the industry’s first real-time advertising exchange focused on high value, vertical-specific media. The Exchange offers unparalleled targeting capabilities to media buyers using structured search and first and third party data, while helping sellers increase monetization with best-of-breed yield optimization algorithms. Prior to joining MediaAlpha, Foster was Vice President at Vantage Media, responsible for all client sales across the education and insurance verticals. “The insurance advertising industry has embraced the Exchange’s transparent and open approach to creating greater value for all marketplace participants,” said Steve Yi, CEO of MediaAlpha. “Michael’s deep experience with insurance advertisers will help us continue to enable our demand partners to realize the full efficiencies offered by our real-time, programmatic media buying platform. For more information on how MediaAlpha is transforming the performance advertising space, visit www.mediaalpha.com.